Many thanks to SWLing Post contributor, Thomas Ally, who notes that Andrew Yoder has released the 2017-2018 Pirate Radio Annual. 2017-2018 Pirate Radio Annual is done and I’ve received the copies back from the printer already! This edition is 308 pages and contains an audio CD-R (playable on standard CD players) with clips from 87 different pirate stations from around the world, nearly all from 2016 and 2017. This edition contains 181 illustrations and entries for approximately 307 stations reported in North America in 2016 and 2017 (280 North American shortwave stations and 27 from Europe and South America). It also contains some “articles” on the Common and Precious Beacon, Radio Pirana International from South America, and upcoming Global HF Pirate Weekends/propagation for reaching different parts of the world. This edition will cost $20 ($16.50 + $3.50 shipping) in the U.S. I took the packed book to the post office for the international shipping cost and was shocked to discover that it will cost $24 to ship it anywhere in Europe (so, $38.00 = $16.50 + $21.50 to Europe) I’ll eat a couple dollars of the cost because the shipping is so high. It’s so expensive that it will soon pay for airfare to Europe just to deliver copies! This price is good for the next month (up through 5/1/2019). I’m not sure if I’ll keep the price the same or raise it at that time. or send the money via PayPal to info [at symbol] hobbybroadcasting.com. If you trust that I won’t run off with the money to Sealand, please use the “Friends and Family” option so that PayPal won’t charge a fee. 4/2 update: One final note about ordering via PayPal: Could you please include your shipping address with the PayPal order? The PayPal messages haven’t included addresses and when I sign into PayPal and click on the “more information about this transaction,” the address still isn’t coming up. So, I’ve been e-mailing people for addresses, which could delay shipping. Thanks for the tip, Tom! I just ordered my copy! This entry was posted in Books, News, Pirate Radio, Shortwave Radio and tagged 2017-2018 Pirate Radio Annual, Andrew Yoder, Pirate Radio, Shortwave Pirates, Tom Ally on April 6, 2019 by Thomas. Click here to visit the National Radio Day website. This entry was posted in Current Events, News, Radio History and tagged National Radio Day, Tom Ally on August 20, 2017 by Thomas. Great to see that Kim Elliott isn’t skipping a beat moving from the VOA Radiogram to the Shortwave Radiogram in his retirement! Let’s support him by tuning in! Click here to visit the new Shortwave Radiogram website. This entry was posted in Digital Modes, News, Shortwave Radio and tagged Kim Elliott, Shortwave Radiogram, Tom Ally, VOA Radiogram on June 21, 2017 by Thomas. Saw this and wanted you to know about it since you mentioned loving his past Kickstarter [for the Solo WiFi radio]. If I didn’t already own the Como Audio Solo, I would grab the Amico. It appears to be nearly identical to the Solo–save, in a vertical orientation–and includes an internal rechargeable battery option. 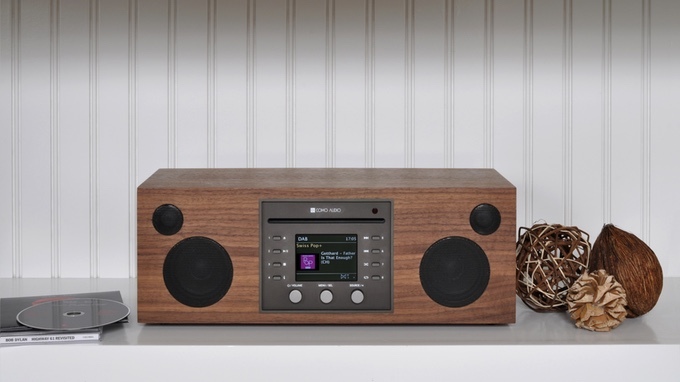 I continue to be very pleased with my Como Audio Solo–it pretty much lives in my radio shack and I use it daily to catch up on my favorite news and music sources. I distribute the Solo’s audio throughout the house with my SSTRAN AMT3000 AM transmitter–admittedly, an old school version of Como’s “multi-room audio sync”–! When I need a battery-powered portable WiFi radio these days, I read for my Sangean WFR-28–thus, the Amico would be a pretty pricey impulse purchase for me at this point! I find it fascinating Como has also introduced the Musica model which includes a CD player–somewhat of a unique feature in 2017. I still have (quite literally) hundreds of CDs. While many have been converted to AAC and MP3 formats, there’s still something to be said for CD audio fidelity and enjoying a proper album format. 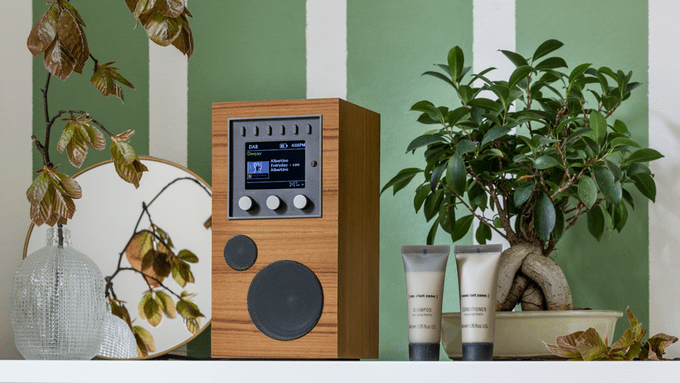 If you’ve been thinking about purchasing a Como Audio device, you might consider the new Amico and Musica via Como’s Kickstarter campaign. This entry was posted in News, WiFi Radio and tagged Como Audio, Como Audio Amico, Como Audio Musica, Internet Radio, Tom Ally, WiFi Radio on May 31, 2017 by Thomas. Without a significant filter, communication would be impossible. But researchers in Molnar’s lab have offered up a solution. Molnar and collaborator Alyssa Apsel, professor of ECE, have devised a method for both transmitting and receiving a radio signal on a single chip, which ultimately could help change the way wireless communication is done. Their work is described in “A wideband fully integrated software-defined transceiver for FDD and TDD operation,” published online Jan. 27 in the Institute of Electrical and Electronics Engineers’ Journal of Solid-State Circuits. Doctoral student Hazal Yüksel and Dong Yang, Ph.D. ’15, are co-lead authors. Separating the send and receive bands is difficult enough, but the problem is compounded by the ever-increasing number of bands in the latest devices. From GPS to Bluetooth to Wi-Fi, each band requires a filter to stop the strong transmit signals from drowning out reception. Molnar and Apsel have come up with an ingenious way to separate the signals. Their idea lies in the transmitter – actually a series of six subtransmitters all hooked into an artificial transmission line. Each sends its signal at regular intervals, and their individually weighted outputs are programmed so that they combine to produce a radio frequency signal in the forward direction, at the antenna port, while canceling out at the receive port. The programmability of the individual outputs allows this simultaneous summation and cancellation to be tuned across a wide range of frequencies, and to adjust to signal strength at the antenna. Continue reading on the Cornell Chronicle. This entry was posted in Ham Radio, New Products, News, Radios and tagged Cornell University, Innovations, Radio Chips, Tom Ally on March 11, 2017 by Thomas.